After tracking down the Reddit user who made a GIF of President Donald Trump bodyslamming CNN, the news outlet said that it would not be revealing the poster's name — on some conditions. On Sunday, Trump tweeted a GIF of himself bodyslamming and punching a man with CNN's logo for a head to the floor with the hashtag #FraudNewsCNN. The GIF, which some said could be taken as a call for violence against the media, brought notoriety to Reddit user HanA--holeSolo. 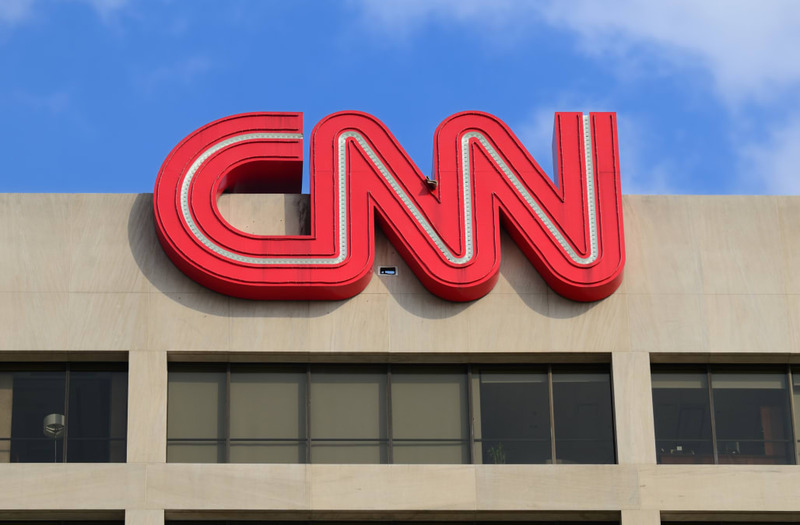 After CNN tracked down the identity of the poster, the user apologized for the GIF along with other surfaced posts of a racist and anti-Semitic nature. In a since-deleted Reddit post, HanA--holeSolo apologized and said he does not support "any violence against anyone." CNN's Andrew Kaczynski said the Redditor later called CNN to apologize further, after the network had tracked down the user through Facebook and other biographical data the user had posted on Reddit. After interviewing the user, CNN's investigative team said that it chose not to reveal HanA--holeSolo's identity because he apologized. In the interview, the Reddit user said that he was worried about safety and public embarrassment if his real name were to be made public. "CNN is not publishing "HanA**holeSolo's" name because he is a private citizen who has issued an extensive statement of apology, showed his remorse by saying he has taken down all his offending posts, and because he said he is not going to repeat this ugly behavior on social media again," CNN said in a statement. "In addition, he said his statement could serve as an example to others not to do the same." "CNN reserves the right to publish his identity should any of that change," the article continued, making clear the conditional nature of their decision to protect the users identity. This caveat was widely criticized on social media, with many users saying that CNN had threatened to dox someone for making a gif with their logo on it. On Wednesday morning, the hashtag #CNNBlackmail started trending on Twitter as a response to the article. Kaczynski took to Twitter to defend the outlet's decision, writing that the line meant merely that they had not promised to keep the user's identity a secret. After some accused CNN of threatening to dox a minor, Kaczynski also clarified that HanA--holeSolo was a middle-aged man.